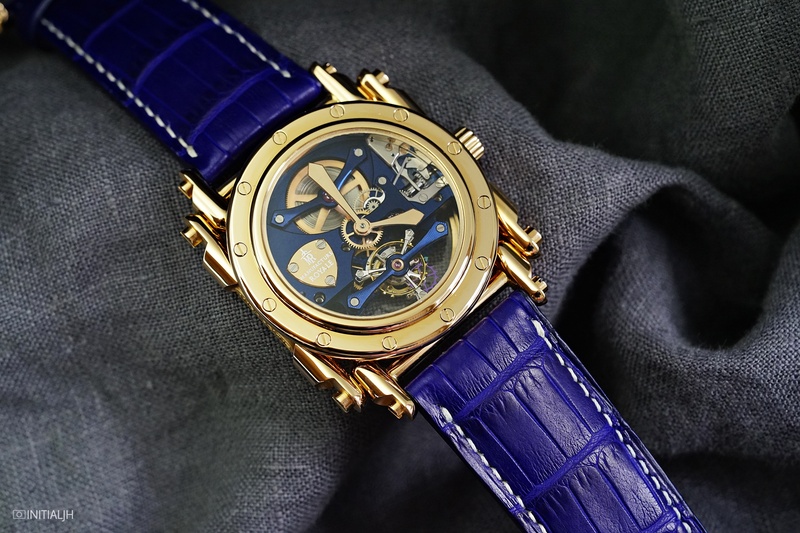 This year, Manufacture Royale has been focusing on a new keyword – customisation. This is the direct consequence of the brand increasingly dealing directly with their end customers, many of whom want a personal touch to their new watch. They are not alone; across the luxury sector in particular, more and more consumers are looking for small touches that will distinguish their new purchases from those of others, whether it’s engraving or hand painting on leather goods. Well the good news is that there are a lot of things that they will be able to have done – colour (including hand colour and even the movement), case material, finishing, decoration, engraving (case or movement); there is now one watchmaker dedicated to this new atelier, which covers customisation across all collections. In today’s post, we are sharing with you some of the options that we were shown earlier this year, to give you an idea of what might be possible, should you be looking for something different for your next watch purchase. The model shown here is the Androgyne Tourbillon. To give an indication about pricing, the rose gold model is 69,000 CHF. This blue strapped model with the sandblasted case, is 49,000 CHF. In a 43mm case (10.2mm thick), the Androgyne Tourbillon is powered by their in-house manually wound Calibre MR02, which has an 108 hour power reserve. As the name indicates, apart from hours and minutes, there is a 60 second tourbillon. Manufacture Royale is a small brand, making somewhere between 100 to 150 years per annum. Perhaps best known for the unusual case and lugs of their Androgyne collections, this new customisation option means that for those who are are looking for a distinctive watch, you now have the opportunity to tweak this even more, whether it be for the Androgyne or the or something else.